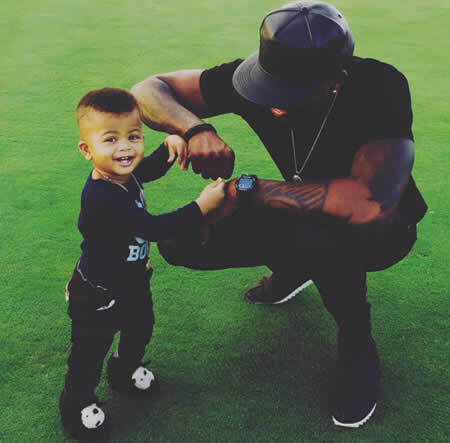 Father of one Tayo Faniran loves his son Toye to bits just like the rest of first time Dads. The Television star and triple ambassador may be a very busy man with lots of traveling to do too but he always finds enough time to bond with his fast growing toddler. The two look-alike, no wonder the love is 'crazy'. Tayo captioned the above photo with the following message: "EVENING WALK WITH MY FAMILY ...#HOME#FAMILY#PROUDDAD#BUNCHOFJOY#PEACE" He wrote. Meanwhile, Tayo has got a message for Tayo Nationals this year and it's to keep their red wine bottles in reach because of it's very many ingredients.